Details / Cleansing conditioner which removes product residue and preserves moisture. 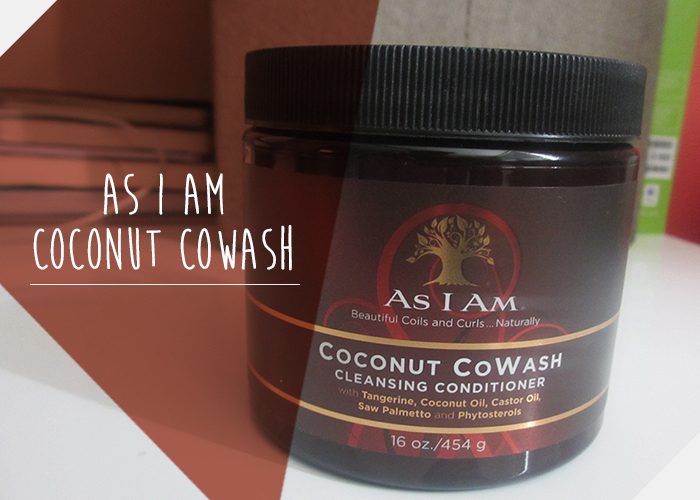 I can easily say that the As I Am Naturally Coconut Cowash is one of my top 5 must have favourites. If this product came in a form of a man I would marry him, because I can’t leave without it. Trust me when i say this stuff is AWESOME! It thoroughly cleanses my hair and scalp and always leaves my hair moisturised and feeling soft. It has a sweet, fruity smell which is amazing. If you suffer with dry scalp then this stuff is perfect for you. As it’s a conditioner it won’t strip your hair/scalp like shampoos, so it leaves your hair/scalp moisturised. Washing with two textures can make detangling quite difficult but this product provides enough slip to make detangling a breeze. I apply lots of oil throughout the week so a good cleansing is well needed by the end of it. This does the job perfectly. It does give you a nice lather but not as much as a shampoo, which is great as it means that it's not stripping your hair of it's moisture. Consistency : Medium creamy and non sticky. Cowashing means "conditioner washing" aka cleansing your hair with conditioner rather than shampoo. This is a gentler way of cleaning as conditioners don't contain harsh stripping sulfates, and adds the right amount of hydration to strands which cuts down on frizz. I simply cowash my hair once a week. Within a month I would cowash my hair 3 times and then use a clarifying or protein shampoo once a month to cleanse my hair and scalp of any buildup. What is your washing regimen like? Which product(s) do you use to cowash?